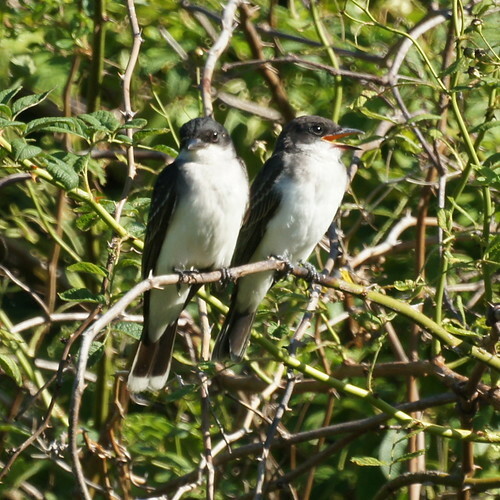 We often see a solitary kingbird in our yard, but we've never observed a family group until today. 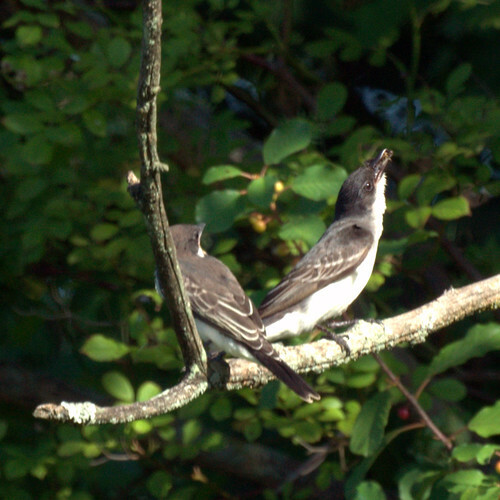 When we took the boat out this morning, there were 2 adults feeding a juvenile kingbird. Here are some photos of these birds.